Mueller Interviews "Manhattan Madam" Kristen Davis - Joe.My.God. 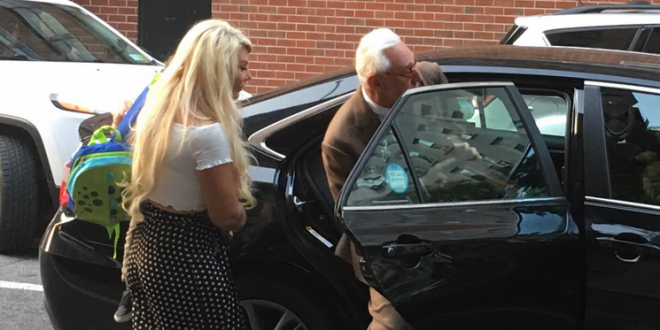 Kristin Davis, the woman famously known as the “Manhattan Madam,” met with special counsel Robert Mueller’s team for a voluntary interview on Wednesday, according to four sources familiar with the situation. Investigators appear to be interested in her ties to longtime Donald Trump adviser Roger Stone, whom she has known for a decade. Sources said investigators expressed interest in having Davis testify before a grand jury — the latest indication that prosecutors are still aiming to build a case against Stone. A lawyer for Davis declined to comment. A spokesperson for the special counsel also declined to comment. Davis once ran a high-end prostitution ring and went to jail as part of the scandal surrounding then-Democratic New York Gov. Eliot Spitzer. Davis was not involved in the specific prostitution service Spitzer used that led to his resignation in 2008.